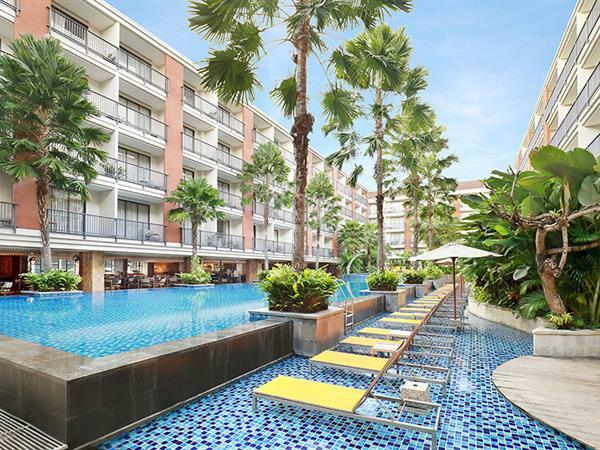 Swiss-Belhotel Tuban offers many first-class facilities befitting of a first class hotel in Bali, including a lap-pool, a dedicated children’s pool and a kiddies club to name just a few! We also have 4 fully equipped meeting rooms for up to 290 guests, ideal for seminars, conferences, exhibitions, parties or weddings in Bali. Please direct all enquiries to hotel management for further information and quotations. Set with flaunting outstanding architecture underpinned by Balinese character and heritage. The Palm Spa is the perfect place for your relaxing pampers yourself. We are offering something special just for you from our selection of spa treatments. With the wellbeing of our guests top of mind, the Swiss-Belhotel Tuban offers a purpose-built 24-hour fitness centre, fully equipped with the latest exercise gear for an invigorating work out. Open daily from 9 AM to 5 PM for children between 3 to 12 years of age. Children under the age of 3 years are welcome in the facilities and must be accompanied by a parent or babysitter at all times. Swiss-Belhotel Tuban offers elegant accommodation a 6-minute drive to Discovery Shopping Mall with complimentary scheduled shuttle. Airport transfers On request. Charges apply. Car hire On request. Charges apply. Tours On request. Charges apply.